Abhijit Sharma from Bangalore, B.Sc Graduate. AMAZON AWS AWS EC2 S3 CLOUD FRONT RDS VPC ROUTE 53 CLOUD WATCH CLOUD TRAIL IAM WAF CERTIFICATION MANAGE.. SES ANSIBLE NFS FTP SAMBA VMWARE DNS DHCP NAGIOS LINUX VIRTUALBOX MYSQL REPLICATION POSTFIX ZIMBRA HAPROXY LOADBALANCIN.. LDAP IPTABLES AWS EC2 S3 BUCKET CLOUD FRONT RDS VPC ROUTE 53 CLOUD WATCH ROUTE 53 CLOUD WATCH CLOUD TRAIL IAM WAF CERTIFICATION MANAGE..
are one of expert skill area's of Abhijit Sharma . 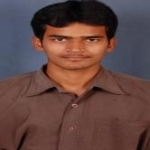 Abhijit Sharma is working in IT Software industry.